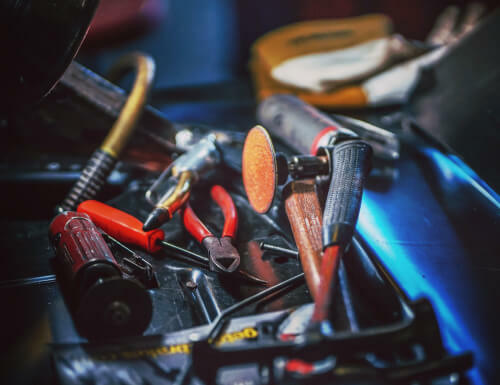 While you might be tempted to bring your car in for service around Lancaster or Fort Covington every time something seems off, some things are easier to check on your own. However in Massena ON, if you’re going to commit to DIY maintenance, you also need to remember to check the small things you might overlook. Here are 10 tips from Seaway Hyundai to help prevent you from making mistakes that might jeopardize the smooth operation of your Hyundai vehicle. 1. Change your oil in Cornwall, ON. At Seaway Hyundai we suggest you use the manufacturer’s recommended maintenance schedule to figure out how often you need to change your oil. Every car is different and the old 5,000 km rule is outdated. Not keeping up with your manufacturer’s recommended oil changes could cause permanent damage to your engine — and replacing an engine could cost you thousands of dollars! Ignoring your oil change can also nullify your warranty; many manufacturers now include oil change requirements in their warranties. If you do not keep up with their recommendations, your warranty will be invalidated. On average for people living near Ottawa and Massena, oil changes cost around $50 – a worthwhile price to save thousands on an engine replacement! 2. Don’t neglect coolant, brake fluid, and transmission fluid service. The best rule of thumb around Cornwall is to make sure your coolant and brake fluid levels are always between the minimum and maximum lines. First, make sure you get the right coolant for your engine type. Although many coolant companies now make their fluid safe for most cars, you should still consult your owner’s manual to be sure. You should also consult your manual for information on brake fluid and transmission fluid recommendations. 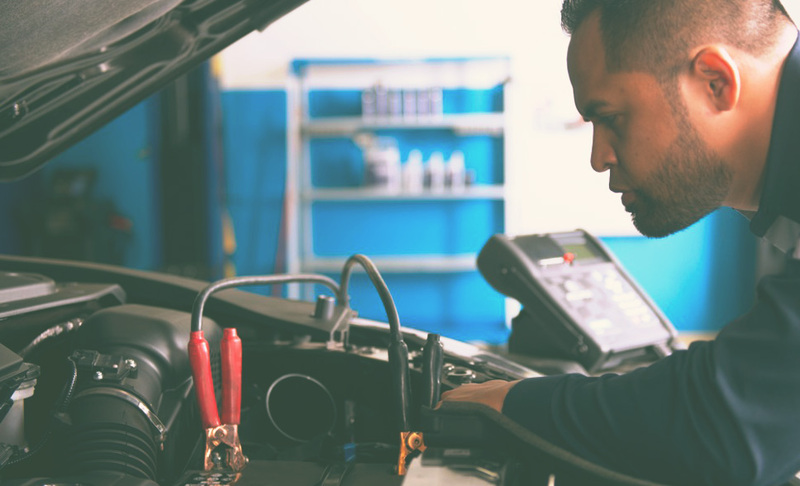 Around Cornwall and Fort Covington, ON transmission repairs are one of the most expensive repairs, and not changing your fluid could mean replacing your transmission soon. 3. Check your tire pressure frequently. You should check your tire pressure approximately once a month if you live around Ottawa or Fort Covington. You can buy a decent pressure gauge for less than $20. Low, under-inflated tires cause the car to take longer to come to a stop in Massena. They are also bad in emergency situations because they give you less control over your vehicle. In ON having excessively low or high tire pressure could cause a blowout and risk your safety, as well as the safety of those driving around you. Having the right pressure can extend the life of your tires; that means fewer replacements and money saved! 4. Lubricate your door and trunk hinges. Your door and trunk hinges will need lubrication to stay in shape. Check to make sure everything is greased at least once a year. If they begin to squeak, it’s time for grease. Not only will dry hinges drive you crazy with their squeaking, they can also bend and bind after a while, and your car doors can get off center. Keep your car feeling like new and lubricate your hinges before driving around Cornwall. Should I Repair or Replace My Car? 5. Driving around Cornwall or Ottawa? Don’t ignore strange noises. This includes tapping, whistling, popping, or anything else that is out of the norm for your car. At Seaway Hyundai we’ve found that these could be signs of deeper issues at hand and can vary in severity depending on where the sound is coming from. Take note of when you hear these noises and what circumstances might have caused them. A strange noise could indicate a defective part or even loose bolts. When in doubt, get it checked! Come visit our service department at Seaway Hyundai — we’d be glad to help you. 6. Don’t ignore your ‘check engine’ light. This could be one of the most expensive mistakes you make. You may be used to leaving the light on for months at a time while driving around Ottawa and Lancaster, and while it might seem harmless at first, whatever problem your engine is having could have a snowball effect that causes other, more expensive problems. This could even hinder your safety later on. For example, in Cornwall, ON one of the most common reasons for a check engine light is a damaged spark plug. You can replace your own spark plug for less than $15, but ignoring it can result in costs of over $1,000 if something like a new catalytic converter is required. Click here for more information on why your engine light could be on. 7. Change your engine air and fuel filters in Massena and Lancaster. At Seaway Hyundai we suggest you check your filters every 6 months. Like your engine light, engine air filters can become exponentially more expensive the longer you neglect them. Not replacing your engine air filter can cause damage to your oxygen sensor, and repairing it can cost as much as $250 for people living near Lancaster and Ottawa! Further neglect of the filter can cause the catalytic converter to fail. These can cost $1,000 or more to replace. Replacing filters on Hyundai vehicles is an inexpensive way to keep your car maintained and your wallet happy. 8. Don’t ignore ON safety recalls. Safety recalls can be ordered by government safety agencies or by manufacturers themselves. You might be tempted to ignore a recall if you haven’t experienced any issues with your vehicle, but that doesn’t mean you won’t see more serious and expensive problems down the line. Plus, oftentimes a manufacturer will upfront the cost to repair the problem, which is even more of an incentive to get the problem fixed. Click here to see if your car has been recalled with our FREE Recall Check Tool. 9. Don’t let unqualified mechanics and shops service your car. While this can sometimes work in your favor, it is a high risk, low reward strategy. Manufacturer qualified mechanics can give you peace of mind and better adhere to your warranty standards. Don’t risk the life of your car with an unqualified or inexperienced mechanic. Seaway Hyundai has employees qualified and affiliated with your specific car model. 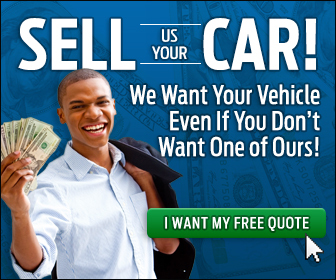 You’ve invested a lot of money in your vehicle; don’t risk it with bad service just to save a buck. Come in and visit us today. Rotating your tires moves your wheels and tires from one position to another and ensures that they wear out evenly while driving in and around Cornwall. Neglecting tire rotation can lead to worn out tire threads and flat tires, and eventually costly and unnecessary repairs. Rotate your tires to save time and, more importantly, money! Seaway Hyundai is a Hyundai dealership serving areas within and bordering the Cornwall ON region.